Uniden has updated its flagship UH850S-DLX Titanium 2-way radio, extending its battery life to 39 hours operating time (2850mAH), with a range of 17km and 5 watts, which it says is the maximum power available for any handheld radios. The company has also introduced additional car accessories for the handheld UHF radio in the form of a new car kit deluxe pack. Users can switch between portable and in-car use by attaching the portable magnetic antenna to the outside of a vehicle, then clipping the handheld radio into the cradle that charges through the cigarette port enabling the handheld radio to be used as a CB mobile radio. 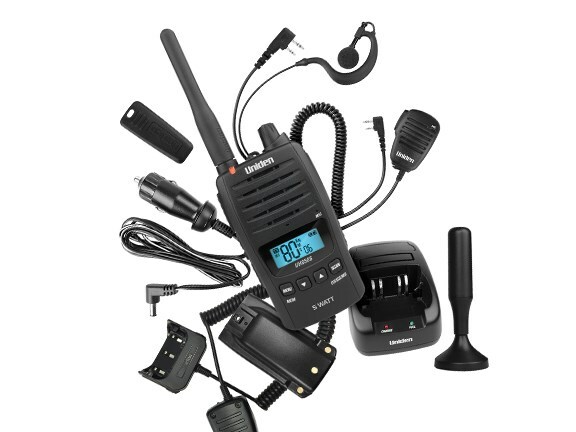 The handheld radio can then be easily removed from the cradle and used outside the vehicle without the need to swap to a different radio. 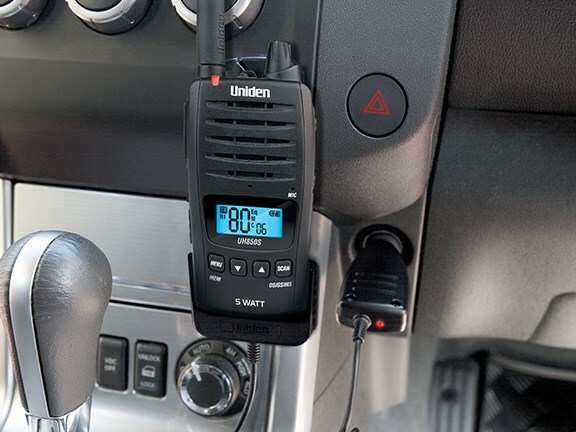 "The portable antenna and cradle charger also allow businesses to have the CB mobile radio solution on their fleet of vehicles, without having to arrange for installation or removal each time a vehicle is renewed," Uniden says. "Having the ability to quickly move the device into another vehicle will save businesses’ vehicle down-time, resulting in an overall cost saving." The radio features a built-in voice enhancer with four audio settings – normal, bass, midrange and high. The UH850S-DLX is made of a ‘Built Rugged’ metal alloy with a fully submersible waterproof body based on IPX7 waterproof standards This means the radio can be submerged in 1m of water for 30 minutes without damage – provided the battery pack is securely attached and all rubber seals and sealing plugs have been well maintained and correctly fitted.